Let’s not beat around the bush. When the touch-centric iPhone came out in 2007 it changed mobile gaming – for the better. It helped to push mobile gaming to the masses and cement touch as a viable input option for games. Since then Android and Windows Phone have had their share of awesome games – beautiful and fun games stuff like Tentacles and Contre Jour are examples of games that couldn’t exist without touch. One thing that’s lacked in the tablet and smartphone space is a unified input system. A recent patent filing shows that Microsoft is positioning to change that. The first and coolest patent is Fig. 1 showing off a potential graphical user interface for input that can be displayed on a touch based device. If you’ve ever played an Xbox you’ll notice where this patent was inspired from. Take an Xbox 360 controller, split it in half, digitize it for a touch display and you have the patent below. One thing that jumps out for everyone playing armchair analysis at home is that this could give insight into future plans with the next Xbox and gaming on Windows 8. We’ll be learning more over the coming months: Xbox unveil in late May, E3 and Build in June. 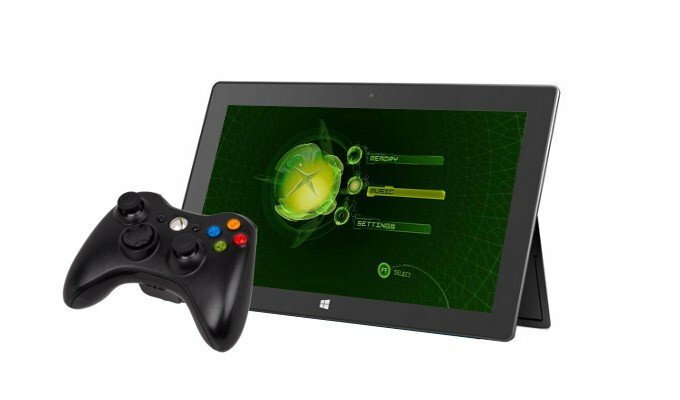 But it’s hard not to imagine a scenario where you have the potential to develop a game for both the next Xbox and Windows 8 simultaneously. 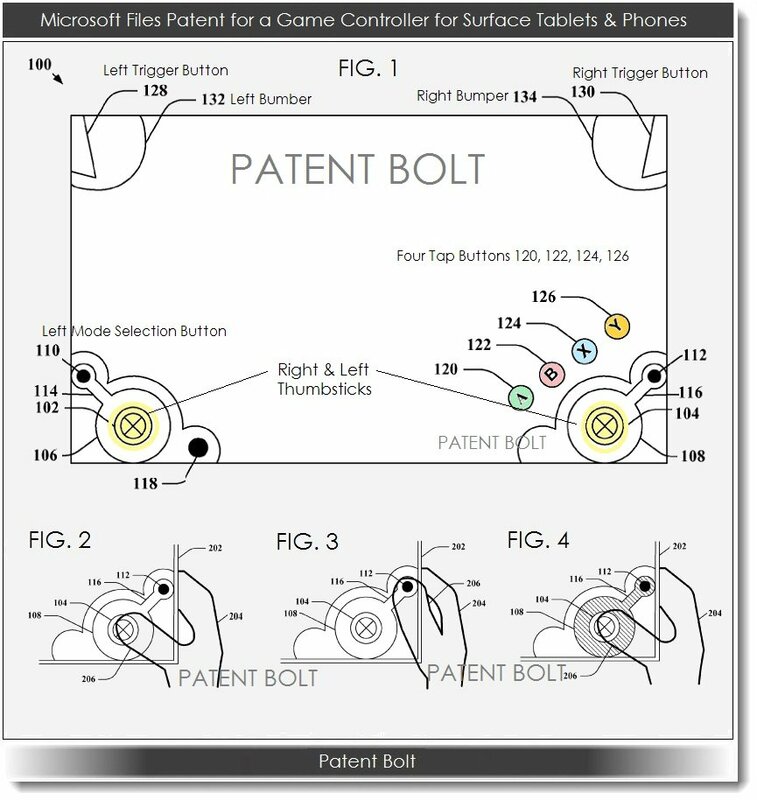 The Xbox has the advantage of having an established input method (the controller) and this patent shows how developers can target a unified touch input for their game that already works on Xbox. While you could probably just use a USB Xbox controller to control the game on your tablet / laptop / desktop, this provides a touch based input for when you don’t have that available. This patent was filed back in the fourth quarter of 2011, but it’s not hard to picture Microsoft having a long term vision with the Xbox story on Windows 8. There’s also rumors of more Surface devices coming out, even one with an emphasis the Xbox brand and media consumption – gaming, reading, music, video, etc. P.S. This comment below was so awesome, I wanted to point it out here so you don't miss it.